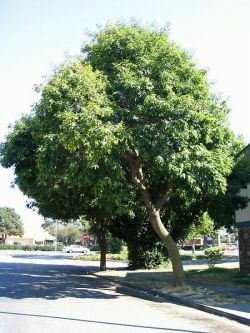 Comments: Broadleaf deciduous tree native to Washington, Oregon and California. Pinate compound leaves 12 to 16 inches long with 5 to 9 oposite leafelets, yellow flowers, and single seed samara. Found in forest areas where Big Leaf Maple acer macrophyllum can grow. Mature height to 60 feet.